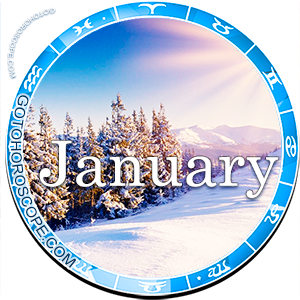 January 2011 Horoscope Taurus, free Monthly Horoscope for January 2011 and Taurus Astrology Forecast for the month ahead. 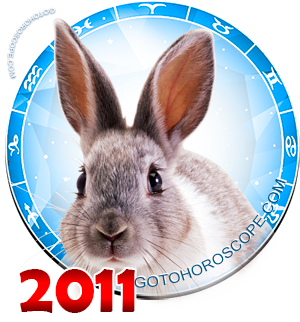 Taurus will meet the new 2011 year of White Metal Rabbit quietly, with firm conviction that there is no need for him to change or rearrange anything in his life, and that all changes that should happen - will happen by itself. This is mostly true, because Taurus has last year prepared an excellent, firm ground for his upcoming business, and now his activities should not pull ahead, a member of this zodiacal constellation should neither run ahead of time nor speed up events. Post holiday relaxation and good-humored mood of Taurus could ignite a desire to learn, because this will become necessary for establishing and expanding oneself in the professional field. Everything at this time including refresher courses will be useful and informative because, to the surprise of this member of zodiacal constellation, by late January 2011 Taurus will open new abilities and talents that may be a foundation for ambitious plans in life. Mid-January may bring unexpected surprises associated with change in job, or getting a new position. Everything that happens in January 2011 will only be to the benefit of Taurus, revealing his potential and providing a launching pad for the most ambitious plans. 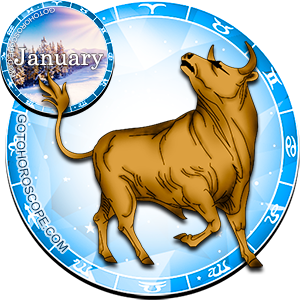 The second decade of January 2011 has very important meetings in store for Taurus, he will get new friends and partners who may become sponsors and assistants in his business. Meeting new people and lots of meetings mean there is possibility of fraud and errors. Therefore, the Planetary Union advises Taurus to be very picky and cautious in affairs and relations, especially those that affect material issues and financial matters. The second decade of the month will also be marked by business trips, in which Taurus will be able to establish several promising partnerships for the future. Although Taurus' financial sector is not stable in January 2011 and there is a great risk of material losses due to activities by swindlers, Taurus will have wisdom not to take risks in dubious businesses, and not to sign contracts with anybody he comes in contact with. Until the end of the month, it is necessary to save, to be tightfisted so as to keep the budget intact. Taurus' personal relationship with a lover or spouse will be uneven - the relationship will be affected by worries about work, lack of attention that a member of this zodiacal constellation will direct to his/her own education and creation of plans. In a family where a relationship is slowly but surely going into extinction, the couples will come to a decision to divorce, which in this case would be the best option under a complete absence of feelings towards each other. Single Taurus will have the opportunity to meet their destiny already by the New Year holidays in early January 2011.